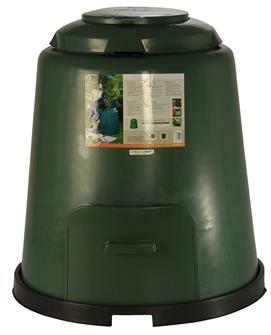 Make compost easily using these compost makers or compost silos, from 200 to 470 litres, and the compost aerator. 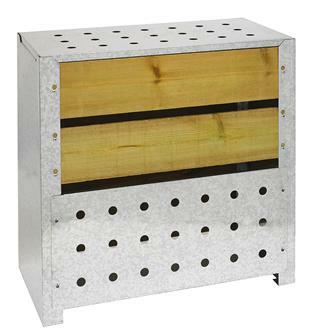 These recyclable green plastic compost makers, or galvanised steel and wood, fit easily into small outside spaces or the location of your choosing in the garden. Compost silo 470 litres. Designed to naturally optimise humus production. Compost aerator in treated steel. Accelerate bacterial decomposition and get better quality compost faster. 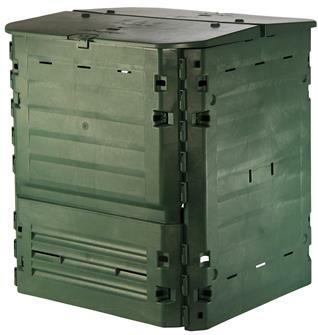 Polypropylene compost bin - 400 litres. 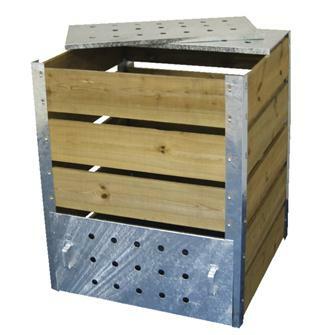 Anti pest grid for jarcom40 compost bin. Protects the compost from pests. 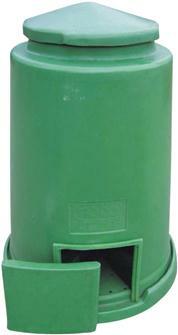 Silo composter 200 litres. Designed to optimise natural production of humus. 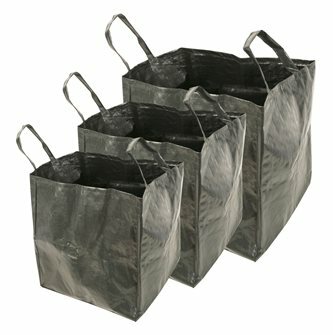 Multifunctional garden bags of 70 l. 100 l. and 170 l.
Multifunction polyethylene garden bags, ideal for transporting plant waste. Pack of 3 bags of 70 l, 100 l and 170 l.